This latest trend in nutrition isn’t a fad diet or newly discovered supplement, but it is hidden in one’s DNA and can be unlocked through a genetic test. Mumbai-based Sukriti Ganesh had been anxiously trying ways to lose weight for a couple of years. But none of the diet plans seemed to work wonders. Befuddled, she attended a seminar on nutrigenomics and nutrigenetics that helped her understand the crux of it all: it wasn’t the food or her eating choices but her genes. “It made her realise that the key to a healthy living lay in her genes. Her DNA could reveal sensitivity to various macronutrients, tolerances to foods, ideal exercises, lifestyle diseases and much more,” says Milind Doshi of Mumbai-based Nutritional Genomix. The test was simple; Ganesh submitted her saliva sample for genetic testing, and within three weeks, she received a 77-page report listing her sensitivity to saturated fats, and lactose intolerance. And based on a customised diet plan, Ganesh could do the impossible in no time. A thorough gene-based diet takes a look at the genetic issues. This allows a health practitioner to prescribe a diet that targets either the up regulation or down regulation of the gene expression. It includes resting metabolic rate, hormones, response to carbs, fats and proteins, appetite, dopamine levels, ghrelin-leptin signalling, gluten, or lactose sensitivity etc. “All of these have a genetic cause that we can either work around or tackle use a precise set of scientifically backed targeted nutrition interventions that control the responsible genes hence allowing us to understand the root cause and tackle it,” says Doshi. Meanwhile, Fernando says, “We integrate the gene test results with a diet plan and acclimatise the client through counselling behavioural methodology to encourage him or her to choose some food and avoid others to stay healthy.” The test comes at a price, but if seen in the totality of the impact it has on one’s health, it seems worth it. The average cost of gene test roughly works out to be Rs 500-1,000 per gene. “Now labs are offering a group of genes together for certain traits like for weight loss, around 10-15 genes are analysed at a starting package of Rs 5,000-6,000. It can go up to Rs 1.75 lakh. 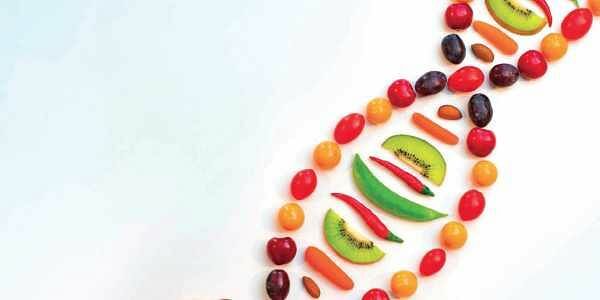 At QUA, over 150 genes are tested for Rs 22,500, including assessment analysis on how we will integrate it in a client’s diet,” he says. However, there are a few who are not impressed with the tall claims. Daphnee DK, senior clinical dietitian and head, Department of Dietetics, Apollo Hospitals, Main, Chennai, says, “A gene-tested diet is like risk scoring. It is still in infancy in India. We don’t use genetic mapping to prescribe diet plans. But, once clinical research is proven, it might help understand the genetic profile of a person.”Even though it may not be ready for prime time, gene-based diet is the start of a personalised future. Nutrigenomics is the study of the functional interactions between food and the genome at the molecular, cellular, and organismic levels, and how individuals respond differently to diets depending on their genetic makeup. Nutrigenetics is the study of these individual genetic variations or polymorphisms, their interaction with nutritional factors, and their association with health and disease. Common dietary chemicals act on the human genome, directly or indirectly, to alter gene expression or structure. Diet-regulated genes are likely to play a role in the incidence, onset, progression, and the severity of chronic diseases. The degree to which diet influences the balance between healthy and disease may depend on an individual’s genetic makeup. Dietary intervention (customised and individual nutrition) based on the knowledge of nutritional requirement, status and genotype can be used to prevent, mitigate, or cure chronic diseases. lazy Shilpi has not done enough research and relied on Qua Nutrition provided information.